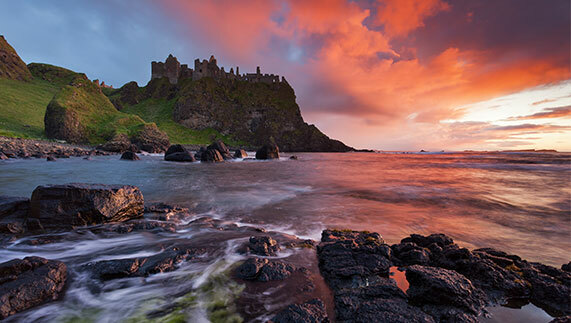 Winter means shorter days and longer nights, but beauty doesn’t say farewell during the chillier months, as these 9 stunning sunset photos of Ireland prove. Familiar to some as the setting for Theon’s horse ride with his sister Yara in HBO’s Game of Thrones, Murlough Beach (as seen above) is five miles of glorious golden sands. 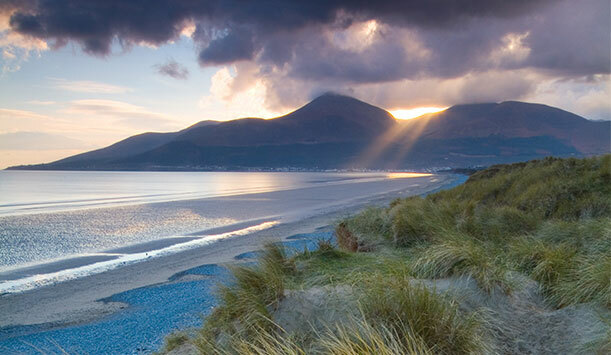 It’s also framed by the Murlough National Nature Reserve, which protects a fragile 6,000-year-old sand dune system. 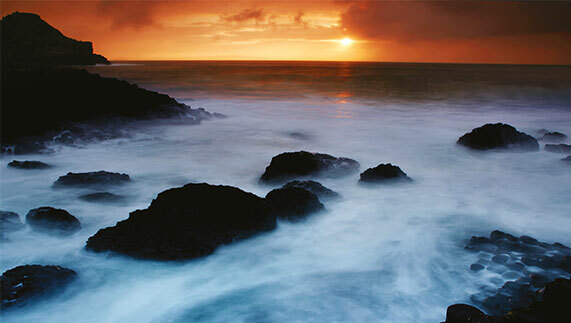 When it comes to showstopping sunsets, Dunluce is in a league of its own. Perched precariously on a craggy headland, this medieval castle is pure fantasy. It looks precarious, and it is: parts of the kitchen actually plunged into the sea in 1639, as the cliff edge gave way. 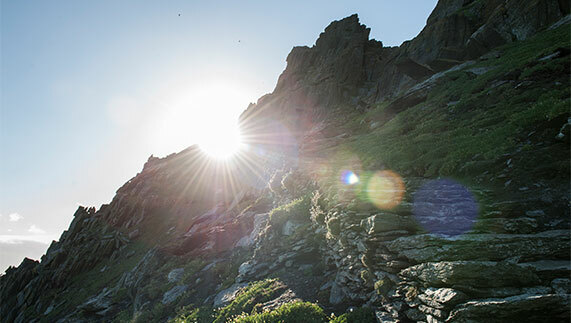 These days, it makes a picture-perfect place to watch a sunset – crumbling ruins, rocky outcrops and light bouncing off the ocean; it doesn’t get better than that. You’re not the first to share this view. The 6th-century monks who made this rocky island their home got here first. There are 600 steps to reach the peak, and these hardy Christian settlers stayed until the 13th Century. You, on the other hand, can come and go in a day. But you’ll still have to climb those steps. 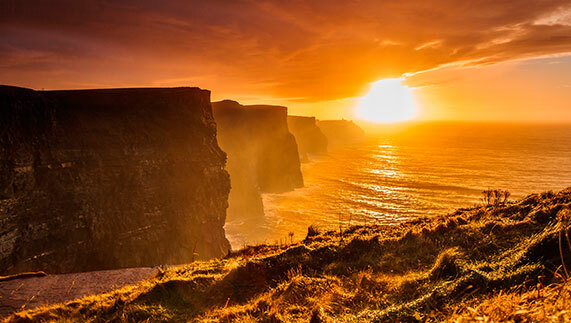 Few views can beat a sunset over the Cliffs of Moher for drama (see above). It looks so peaceful, yet in person the whip of the Atlantic air will take your breath away. With eight dramatic headlands rolling into the distance, it’s a cinematic sight. Literally. Both Harry Potter and The Princess Bride brought these cliffs to the big screen. Do we have mythical hero Fionn MacCumhaill’s duel with a Scots giant, or a volcanic explosion to thank for the Giant’s Causeway? It’s academic, really. The sight of these 40,000 basalt columns edging their way out into the sea is, regardless of their origins, astounding. 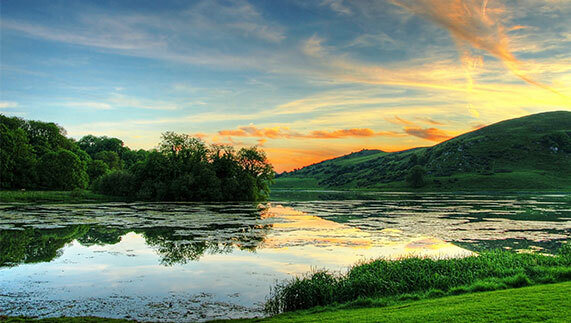 Did you know: the sun setting over Lough Gur has been appreciated by people who roamed these lands as far back as Neolithic times. Keep your eye out for The Giant’s Grave, a wedge-shaped gallery grave dating back to 2,500BC. Next up: a Grey Lady, a spot of drama and Ireland's only cable car. 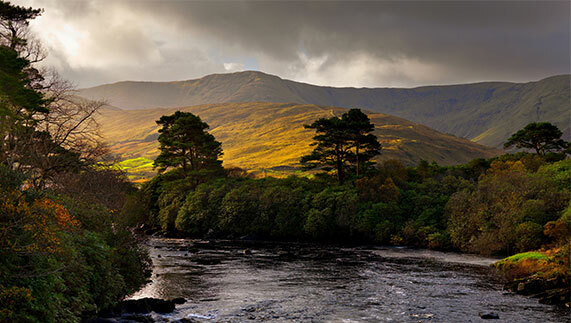 This stunningly serene part of Connemara in County Galway has everything you could want for the perfect sunset: sweeping green hills, an ever-changing sky, gushing water… Visit in late summer and you might even spot salmon jumping up the falls. 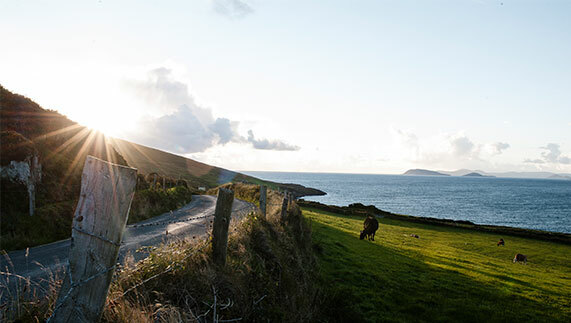 Accessible by cable car, Dursey Island is a peaceful paradise off the coast of West Cork. Along with these content cows, frequent visitors to this slice of Atlantic coast include dolphins and whales. 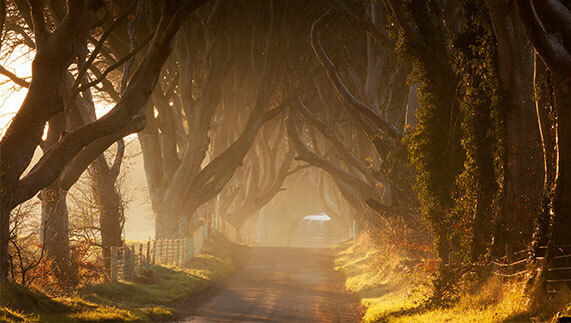 Although more globally renowned as The Kingsroad in HBO’s Game of Thrones, at dusk this avenue of beech trees called The Dark Hedges is reputedly haunted by a spectral Grey Lady, who appears, then disappears amidst the trees. After all that fresh air, all those bracing strolls and all those stunning sunsets, you’ll want to retire somewhere warm, welcoming and cosy. Or, in other words, a traditional Irish pub.